While going through some old documents I came across an article I’d written on email press release best practices back in 1999. It’s a fun look back at the early days of online media relations so I thought I’d share it. I started doing online public relations activities in 1995 and from 1996-2000 I managed an online PR team and helped run an email press release service called Internet News Bureau that was eventually acquired by Internet.com. By 1999 we’d been sending press releases via email for several years and this article was meant to help others avoid some of the pitfalls of pitching the media in this way. I’m not sure when “press release optimization” became a common concept but it wasn’t being used at that time. Our main focus was direct delivery to journalists via email. (As a side note “e-mail” was the more common spelling then as the AP did not standardize on “email” until this year). One thing I enjoyed is the fact that I called out the use of terms like “unique” and “revolutionary” since I’m still doing that now through posts like The Most Overused Buzzwords and Marketing Speak in Press Releases and PR Filter Shows Press Release Buzzword Abuse Still Prevalent. It’s also interesting that the common sense concepts haven’t changed much, nor were they new at the time. Communication vehicles continue to evolve but the fundamentals remain largely the same. Keep it short: online journalists are bombarded by e-mail; long, wordy releases will often fall victim to the delete key. It’s best to use short paragraphs, as they are easier on the eyes in an e-mail. Get to the point right away, and skip all the fluffy PR stuff. Avoid words like “unique” and “revolutionary” – they’ve heard it all too many times. Proper e-mail formatting is essential. If your release comes through as gibberish or with over-wrapped lines, it will never be read, and worse – it will annoy the journalists. The safest way is to keep it simple: left justified with hard line breaks at 65 characters or less. Don’t use special characters like the trademark symbol. 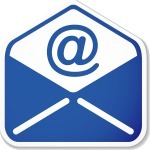 A lot of e-mail programs read them fine, but not all of them, so why take the chance? Instead use text abbreviations, like: [tm]. Also, it’s best to compose a release in your e-mail program instead of a word-processing program. Even basic things like quotation marks from a word-processing program can come through as gibberish in someone else’s e-mail program. Avoid the temptation to send attachments, even if the file is small. You don’t know how it will come through on the other end. A long download – or worse, a mail server crash – will not endear you to the “victimized” journalist. Instead provide a URL where they can view, download or do what ever you’d like them to do. Don’t just blast out your release to every journalist’s e-mail address that you can find. Avoid sending unsolicited releases (it’s still spam) and make sure that your material will be relevant to each individual journalist. Unsure what a journalist covers? Ask. A short e-mail can do tremendous good. With one message, you can find out what they are interested in, get permission to send them material, and best of all, build a relationship. Another good option is using an established online distribution service with a subscription-based list. Well said Sean. It’s interesting (and good I’d say) how the fundamentals of appropriate interaction are pretty similar regardless of the medium. When I worked in the computer press as a journalist, if a product announcement could not plainly explain what it did in the first two paragraphs the release was likely to be ignored. Good editors never throw away style guides and tips. Great Post Adam! Even I have to say most of people are not even aware of these etiquettes and end up in writing poor emails. I never thought about length factor but will start considering it.